Find your limit, then move past it. Whether warming up or cooling down, this women's hoodie keeps you comfortable in soft French terry. 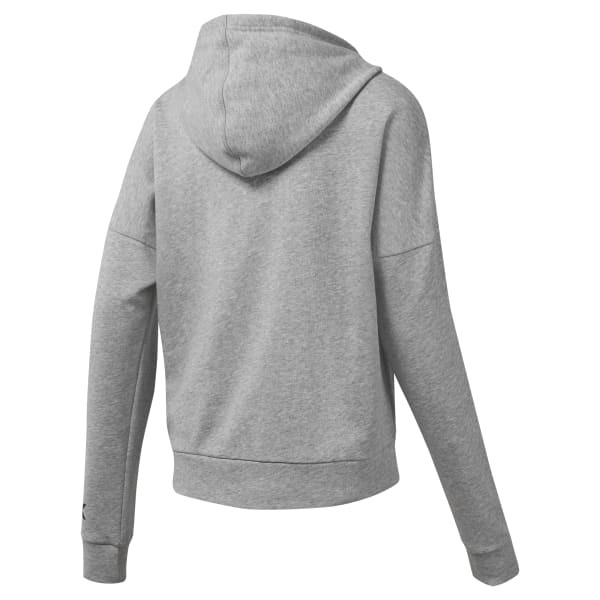 The minimalist pullover features contrast details and a Reebok logo on the sleeve.